The lace shawl is 3/4 of the way completed, and I am totally in love with it. It amazes me to see such a delicate piece coming off of the loom, yet the stitches are sturdy and holding together as beautifully as if they were made out of a heavy yarn. I know the shawl will "bloom" even more when it is blocked and the lace opens up. I started with several lace pattern ideas, but in the end, chose to make the shawl with only one, that I'm calling "Hydrangea Petal." This shawl is being made on a CinDwood 1/2 inch gauge hat loom with 59 pegs. The yarn is Knit Picks Shadow Tonal in Blue-Violet. It will take 1 skein of yarn to make the entire shawl, and the entire skein fits in a teacup. 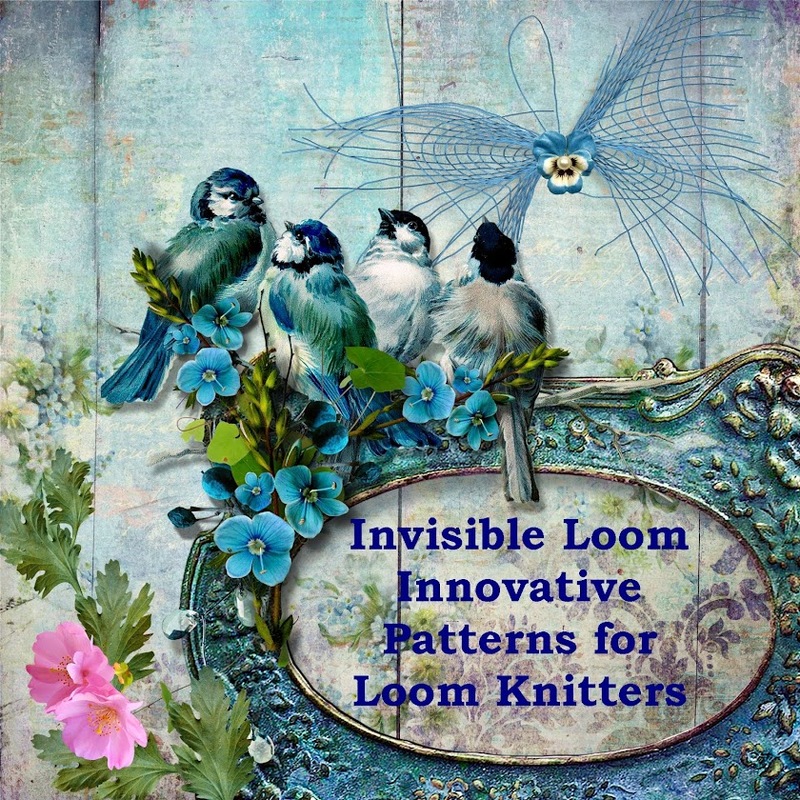 I'd love to hear what you think - are you going to start stashing some lace yarns? As usual your pattern is beautiful and can't wait for you to offer it so I can try it. I have a new spinning wheel that spins the perfect lace yarn. That color is fabulous! This stitch is beautiful, Renee! You have outdone yourself again. I can't wait for the pattern on this one. That is so beautiful, I can't take my eyes off it. What a fantastic job!